Does your Web site help or hinder your marketing and sales? At Vernisage, we mix superior design with common sense usability for Web sites that drive results. Simplicity, clear navigation and conversion points rule the day and transform visitors into customers. 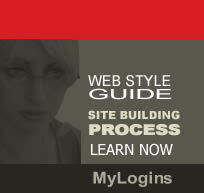 Vernisage uses probe design techniques to develop the look and feel of the Web site. Armed with this knowledge, we will provide you with a template. This step is complete when Vernisage obtains your written approval on the design. After we agreed with the feel and look of your Web site we will implement the content and images provided by you for the pages agreed upon. This process will take approximately from one to two weeks, following the agreement of one of the design layouts and if we will receive all necessary content in a timely manner.